London-based four piece Fraser & The Alibis play the hippest in bop, blues and boogaloo. 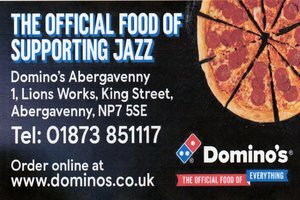 The line up is Fraser Smith (tenor sax), Joe Webb (organ), Harry Sankey (guitar) and Gethin Jones (drums). Inspired by the big tenor sax sounds of Dexter Gordon and the screaming organ of Jimmy Smith, the band plays original tunes – deeply entrenched in the roots of the music. Fraser & The Alibis features some of the most in-demand improvisers on the London scene. They regularly appear at Ronnie Scott’s and have appeared at many other top venues and festivals. This will be a great evening, reliving the swing music of the dance hall era, combined with the intricacies and virtuosity of later jazz movements.